Home > Headlines > News > Should I Trade In My Car or Sell It Privately? There are lots of pros and cons either way you choose. Let’s take a look at the options. Probably the strongest argument for trading in your Land Rover at your dealer is how easy it is. Simply bring your old car in so that it can be properly evaluated. Then the dealer can make a fair offer with that money immediately applied to the purchase of your new Land Rover. There are no hassles, no sorting calls or voice mails or emails, no dealing with the actual sales process and paperwork. Your dealer takes care of all of that for you. All you have to do is drive in with your old Land Rover and drive out with your shiny new one! Of course, there is a down side, and that’s money. Because all dealers have to make money on the cars they take in trade, they can’t pay you as much as you might get from selling to a private party. How much more you could get for your old car by selling it yourself could vary widely. It depends on the usual issues of condition, age and market demand. But it also depends on how much time and energy you want to put into the selling process. Another factor to consider is that trading your old Land Rover in could save you in sales tax. Depending on your state, typically sales tax is calculated only on the difference between vehicle trade-in value and the purchase price of the new car. For example, if you get $25,000 for your trade-in, and the new Land Rover is $75,000, you only have to pay taxes on the $50,000 difference. Certainly that doesn’t account for all the difference between retail and wholesale value of your old car, but it does make a difference. If you absolutely need to get top dollar for your old Land Rover, you’ll have to sell it yourself. You’ll benefit from selling to a private party because they will pay closer to full retail value for your car. But you need to invest a little time and money on your end to get top dollar. First, prepare the car for sale. It’s a good idea to have your mechanic look it over and give you a realistic assessment of the condition. Take care of any issues that could slow down a sale. Once the mechanical issues are in hand, turn to the cosmetics. It’s probably worth it to have your car professionally detailed - especially if you are selling an old Land Rover. Land Rover buyers are discriminating consumers, and an immaculately presented vehicle makes a great sales impression. Do online research to determine a fair price for your car in your market. Also, make sure you have all of the required title transfer paperwork in hand and you know your legal obligations as a seller. Finally comes the actual sales process. There are lots of online advertising opportunities, but be prepared to field calls and emails at odd hours and many from less than serious buyers. It’s best to screen contacts and try to pre-qualify legitimate buyers before you take the time to show them your car. Have patience. To get the price you want might take some time. In the end, the decision to trade in your Land Rover or try to sell it yourself boils down to weighing convenience against cost and time. Excellent previously owned Land Rovers are in demand. 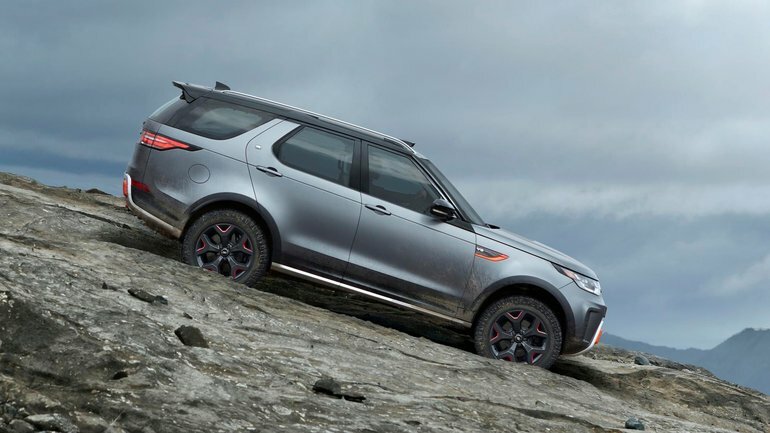 You might be surprised at how much your dealer will give you for your Land Rover, and it well might be the most efficient path to that new Land Rover you’ve been dreaming about. For more information on trading in your car at Land Rover Metro West, contact us!